Acknowledged amid one of the leading names, we are readily involved in the business of presenting a world class Heat Recovery Steam Generator. 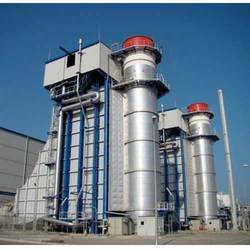 We are manufacturer of Waste Heat Recovery Steam Generators. - Working Pressure- Up to 69 Kg/Sq.Cm. TESPL offers Power Boilers and waste heat recovery steam generators in India & globally. TESPL has designed and manufactured the most competent power boilers in Indiaand overseas. HRSG Casing including Boiler Inlet Ducting, Support structures, Platform & Walkways, Ladders etc., are made of Carbon Steel Plates. Internal insulation will be done with Mineral Wool and Ceramic wool covered with Stainless steel Cladding Sheet to maintain the skin temperature of the casing. : Shell and tube type construction / Water tube construction. 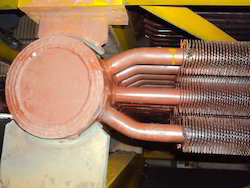 M.E ENERGY has secured contracts for HRSG Systems at the back end of Gas Turbines. The steam thus generated can be used for generating single or multi pressure steam for power generation or for process heating. Clyde Bergemann India Pvt Ltd.